Hundreds of articles have been written about the fall of the music industry, but there’s a story I tell clients when the conversation turns to it. I finally went back and researched the two articles I talk about. This is Part Two. In the five years that passed since the 1995 article I referenced in Part One, the recording industry was hell bent and singularly focused on establishing a new, higher quality format for music that would replace the CD and maintain the traditional album configuration. 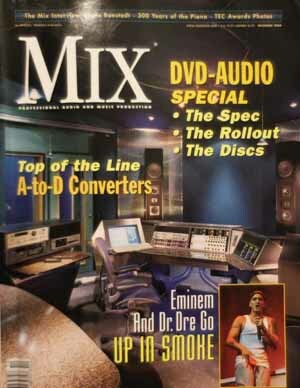 In December of 2000, Mix Magazine dedicated an entire issue to this new format; DVD-Audio (A). The DVD-A standard was 5.1 (five speakers and a subwoofer) with 24 bit resolution (the existing CD used 16 bit audio and two speakers). As consumers, we were mostly unaware of some extremely important issues that either led up to, or paralleled the announcement. For four years, the music industry had been locked in a serious battle with the movie industry concerning this format. After all, films were already produced in Dolby 5.1. It was basically equal in quality. But, from a patent standpoint it didn’t financially benefit the music companies. Sadly, over time, the product the music industry had begun marketing wasn’t music. Music was just the advertising jingle for their real product which was the delivery medium. Every time a new format was introduced, the industry banked on significant revenue as consumers upgraded their existing music catalogs. Since we owned Frampton Comes Alive on vinyl, we would buy it on Cassette, CD and then again on DVD-A. Not surprisingly, the DVD-A announcement was DOA. In February of 2001 ( TWO MONTHS AFTER THIS MIX ARTICLE), the file sharing site Napster experienced it’s peak historical usage with over 25 million users and 80 million songs shared. By July of 2001, the RIAA got the courts to shut down Napster, but the iceberg had already gouged the ship from bow to stern. It turns out that consumers didn’t care about improved quality OR owning media. The music industry lost site of the real product…music. Incredibly, the industry at that time had no plan to take advantage of downloading technology. Despite what is now obvious, they literally didn’t see it coming. Their resultant solution was to bring legal action against consumers and providers of illegal downloads. And make no mistake, this was illegal. As a result, iTunes is now the largest record label in the world with estimated 2013 revenues of 13 billion dollars. No wonder the recording industry has been so reluctant to release their catalogs! Of the eight record labels mentioned in the article, only four still exist. Ironically, an enitre industry whose business model was based on the fact that their consumers could hear… didn’t listen. Hundreds of articles have been written about the fall of the music industry, but there’s a story I tell clients when the conversation turns to it. I finally went back and researched the two articles I talk about. This is Part One. Don’t ask me how I remembered this article, but I did. While that may seem miraculous enough, it’s nothing compared to the luck I needed in finding the story again. …There were reasons that I kept these old industry magazines… Those reasons elude me now… wait… isn’t that the definition of a hoarder? Anyway, the story was buried in between the pictures of million dollar studios and ads for the equipment featured in those studios. The piece wasn’t listed on the cover, or even pushed to the back page as a final statement. Borrowing the title of an older REM song, “The End of World as We Know it”, it was hidden in plain sight on page 26. 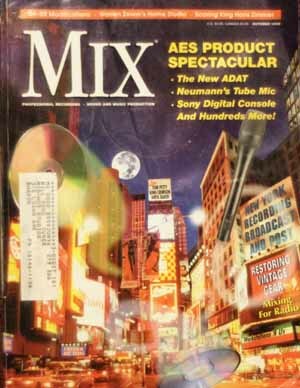 I was a subscriber to MIX magazine for about a decade beginning in the mid nineties. At that time, MIX was generally accepted as the premiere industry magazine for recording and sound-for-film studios. I remembered this article from one of the issues (Ken C. Puhlmann and David G. Lampton,”The End of the World as We Know It,” MIX October, 1995, pp. 26-31, p 352) . The authors did an excellent job of laying out the possible future for the audio industry. “The advent of the World Wide Web marks the beginning of a new era, an era of shared knowledge and distributed computing. Every day, billions of bytes of data are donated to online archives around the world. It is not unreasonable to assume that nearly the whole of human knowledge will one day reside on networked computers.” They go on to say, “The most popular service providers are Prodigy, Compuserve and America Online…most providers allow Internet access, and recently, some providers have added Web access; several have even provided the ability for individual users to create their own Web pages.” The authors recommended using dial-up speeds of al least 14.4 kbps because “the relatively large file sizes would preclude slower connections”. Among the many ads in this issue for now-defunct products and companies was a turnkey, computer recording system that boasted a 17″ CRT monitor…for the “unbeatable price” of $9,995.00. Ouch! The music industry had begun to think of itself as an institution. They made the rules. They told us what music to like, what music to listen to, and what music to buy. What… do you think it was the independent-minded college radio DJ’s that discovered “the next big thing?” Those stations were actively marketed to by major label subsidiaries. The music industry was clearly in the drivers seat. Sales were steadily rising, and by 1999, they would report all-time-high revenues of 14.6 billion dollars. How could they go wrong? What a lesson! As business owners, we need to be careful not to tell our customers what they want. In Part Two, we’ll jump forward five years to December of 2000. There are hundreds of dissertations on this subject around the web. Many written by people far more qualified than I. However, since I’ve recorded 400+ different kits over the years, and customer satisfaction has generally been high… This is Part Three. 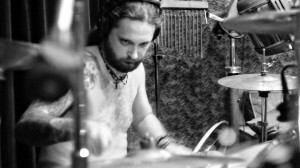 I Usually… One: Take a wide-ish band at 500Hz and cut it aggresively on the toms. This is the boxy tone that nobody misses. I Usually… Two: That pesky energy node you’ll probably get on the toms at 200Hz isn’t going to go away unless you spend a month tuning… forget about it. 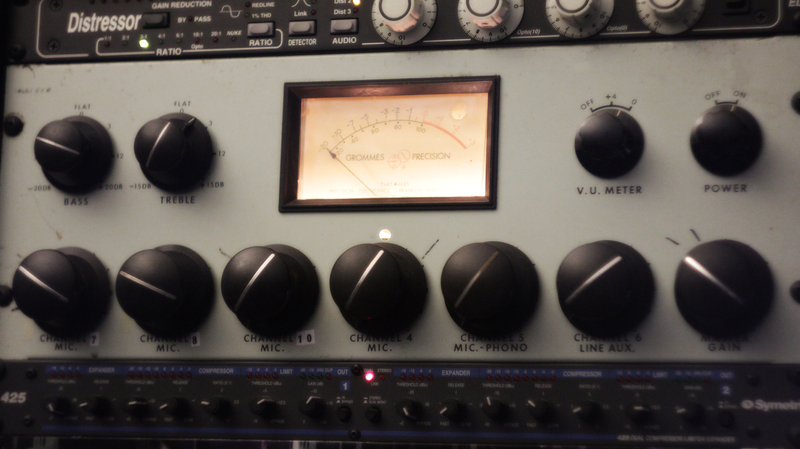 Set a narrow band on the eq and try to notch it out either while recording or while mixing later. 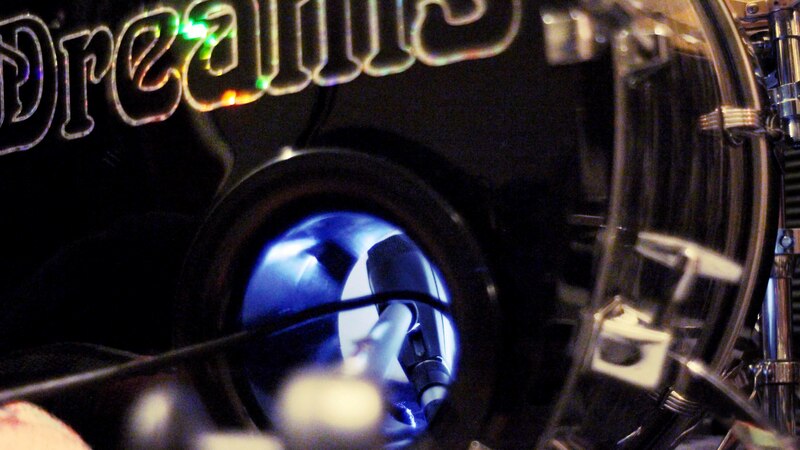 I Usually… Three: Cut 100Hz or so on the kick drum. I know…I know… that’s the frequency that some people will tell you to boost, but it pushes to much energy into the compressor. You don’t have to get crazy, but as you drop this freq, you’ll hear some awesome sub tones that seem to expand the size of the kick. You’ll also have to make a wide, gentle boost some place in the upper midrange to show the slap of the beater. If you hear a weird “clacking”, “beeping” or other unnatural sound, figure out the frequency and… notch it. I don’t usually boost any low frequency on the kick unless genre=metal then I’ll boost 44Hz a tiny bit with a more severe 100Hz cut. I Usually… Four: Put some level of compression on all individual drums. Very light on the toms, a little more on the snare, and quite a bit on the kick. Yes, we’re shaping the tone, but we’re really looking for some level of consistency in volume across the kit. Oh Crap! 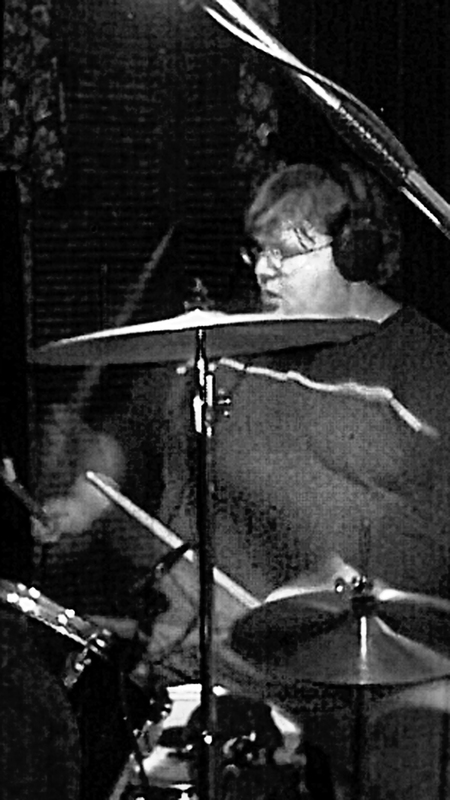 Too much cymbal: They’re in everything and if that weren’t bad enough they’re flanging because of the phase differences at each mic making the drums virtually unlistenable. Let’s figure out why. The room is usually the number one culprit. The cyms just seem to multiply everytime they’re struck. You’ll have to deaden the room or move the kit to a larger space. 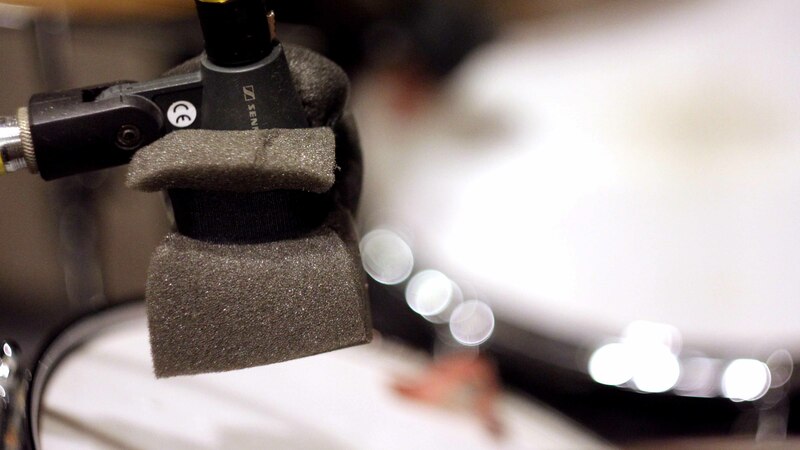 Make sure your overhead mics are in the best possible position to capture a balanced drum vs cymbal performance and as the drummer plays make sure that you sweep from pan to center (mono) to listen for phasing. Correct accordingly. 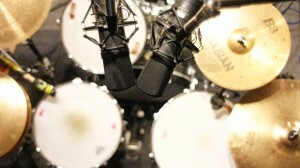 I’ve found that almost all drum tracks have too much cymbal in the tom mics. I just mute the tracks in between tom strikes. The Snare: Don’t over compress! Make sure you can hear enough snare band. Need more snare in the mix and pushing the volume doesn’t really help? Build a reverb that does it. There are tons of plugins that let you set early reflections, tune the verb, and simulate natural rooms and environments. 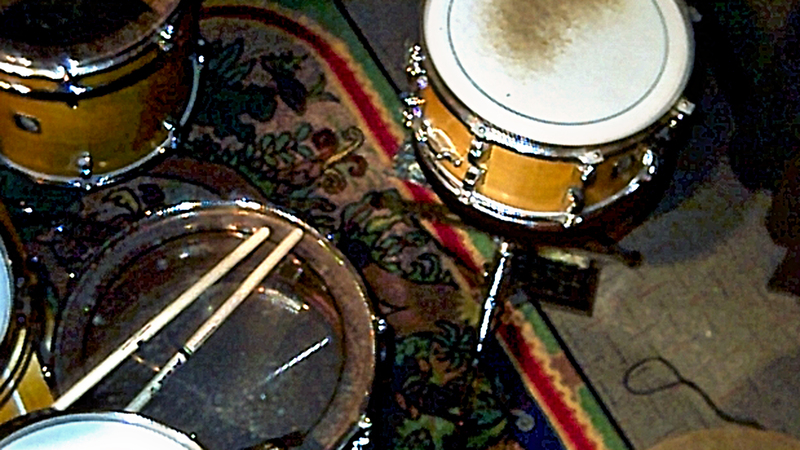 These can/will make your snare as big as you want it without sounding too reverb-y. 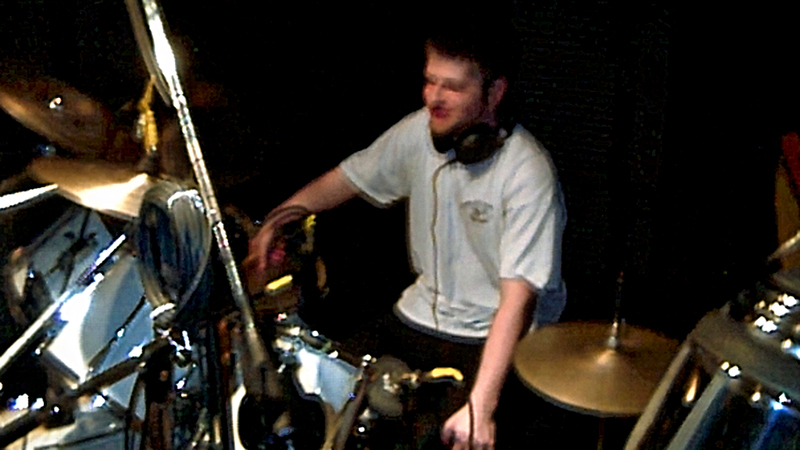 I don’t consider myself an expert, just someone who’s had the remarkable opportunity to mic a lot of drum kits. twenty years from now, there may not be many engineers around who will have recorded more than 10 kits. Music has changed. 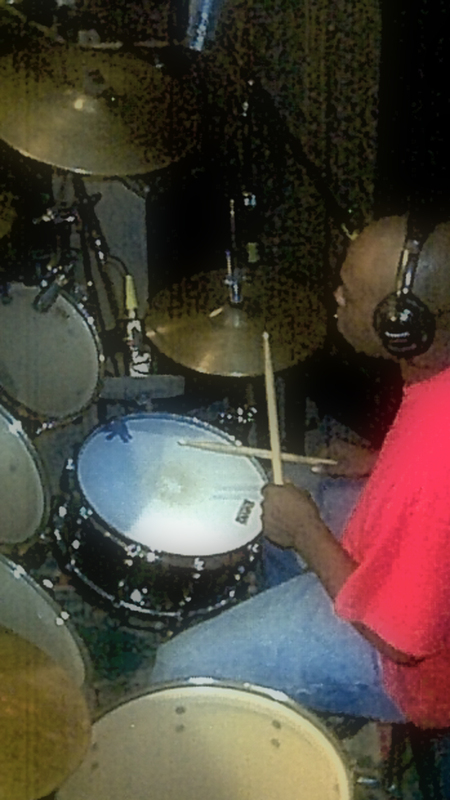 Anybody who’s used sample/replace software knows… but if you have a real band and a real drummer, who wants to hear real drums, mic’ing is easy… Part One. or Part Two. There are hundreds of dissertations on this subject around the web. Many written by people far more qualified than I. However, since I’ve recorded 400+ different kits over the years, and customer satisfaction has generally been high… This is Part Two. No Worries One: Really cheap tom mics are fine. You’re only going to use them to augment the overheads and bring attack, body, and increased volume to the toms anyway. That sounded surprisingly like a shampoo ad. No Worries Two: Remove all of the damping, tune and reapply moon gels cut in half. Full gels kill too much area. If you have to, use two halves in different spots. Drum Gum is also really effective. I actually use little frogs that I bought at a party store which are made out of the same stuff. Part Three. or back to Part One. There are hundreds of dissertations on this subject around the web. Many written by people far more qualified than I. However, since I’ve recorded 400+ different kits over the years, and customer satisfaction has generally been high… This is Part One. I do not. I have no secrets of any kind, and I have never substituted a drum sound using sample-replace software. It just seems so unfair to the drummer. Hey, guitar player, I don’t like the tone of your amp; let’s replace you and your little dog too. There are a couple of things that I’ve done over the years that have given clients consistent results. I present these with the humility of someone who has been in situations where nothing really worked and despite my best efforts the drums didn’t sound like they should have. Assumption One: The drummer can play. He/she actually strikes the drums with authority and confidence. Touch drummers do not record well. You really have to be on your game when recording a jazz oriented player who strikes lightly. Assumption Two: The drums aren’t complete garbage. I tracked a kit once that was cobbled together from three different below average drum sets. However, the top heads weren’t dented and he hadn’t removed the bottom heads (important). Once we removed all of the duct tape and retuned, they recorded fine. I am partial to maple shells, though. They just seem so focused. 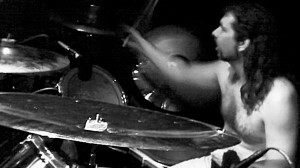 Assumption Three: You have some idea how a kit is supposed to sound, and you aren’t afraid to help the drummer tune it. Good Idea One: Two heads are better than one. You can’t fake this. 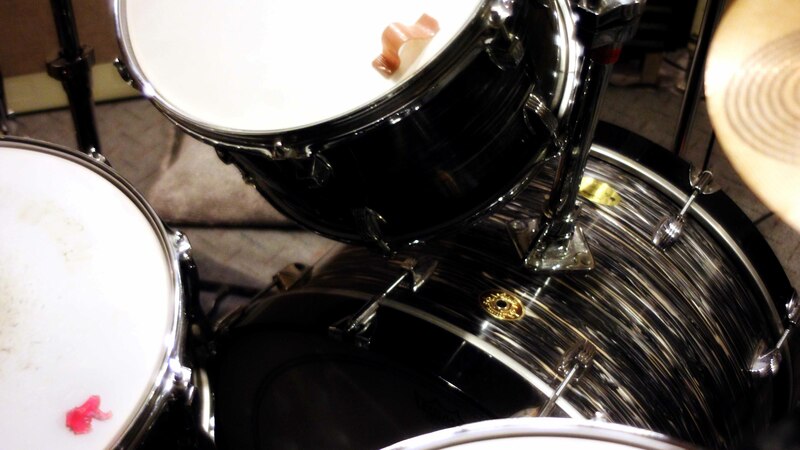 There’s a reason that drums have two heads. The kick drum can be the exception, however. If it has a hole, put the mic inside the drum, and you’re in business. Otherwise remove the front head. If you’re going for a flabby/indie/70’s sound you may have to keep it and mic from outside the front. Good Idea Two: Get two good overhead mics. They are your drum sound. I’ve used different ones over the years, and I found that I liked affordable, natural sounding microphones. I settled on ADK Area-51’s. 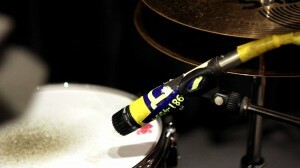 Properly placed, you can shut off all of the other mics except the kick and hear the real drum sound. If you’ve been searching for overheads, I highly recommend you audition these. 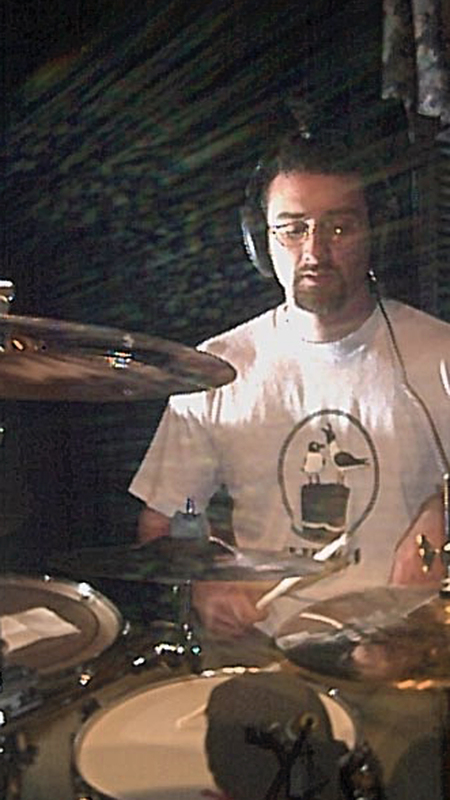 You won’t need a hihat mic either. I’ve never used one. Part Two. CJ Anderson (ChronicLz) has recorded so many songs here that neither of us can remember them all. 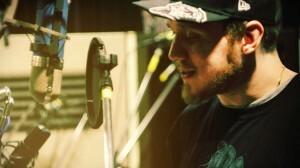 Among the things that make him unique is that he is nationally recognized in the world of “Rap Battles”. Wait… a music genre that morphed into a competition!? Outside of the more mundane fiddle contests and battles of the bands, I can’t think of anything that even touches this in terms of a quantum change in entertainment. This is unique. When I first heard about this art form, I was clueless/skeptical to say the least. After watching some of these battles on YouTube, I now believe… (WARNING: Explicit Lyrics, Urban Attitude, etc.). FYI, I have seen NOTHING in my twenty years in the entertainment industry that compares to it. There are world leagues associated with this art form. Two competitors (usually from different geographic locations) with only tenuous social media knowledge of each other go into a ring. They have written several rounds of verbal abuse for their opponent and use these words as weapons. Nothing is off limits. If they find out that their opponent’s mother died of cancer, they will use it. Knocking the opponent out (making them freeze or lose lucidity) is the objective. There are unbiased judges that render decisions, but the fights are posted online for thousands to judge after-the-fact. While Mud-Hut has done hundreds and hundreds of Hip-Hop tracks over the years, ChronicLz is the only client to compete in world ranked Rap Battles while continuing to produce his own music. In 2009, at CJ’s suggestion, Mud-Hut hosted a battle that included Real Deal, (an internationally ranked battler and MC) and many other participants and fans. Whether or not you like Hip-Hop, is irrelevant. If you like “extremely different”, this artform is worthy of a one-time exploration. It’s crazy. People will watch YouTube videos of terrible quality on palm sized screens as long as they can understand what’s being said… but put an HD video on a large screen TV with poor sound and they quickly lose interest. While the visual is sometimes self-explanatory, the audio completes the communication. Many articles have been written about the relationship between audio, the brain, and memory including, Music, Memory, and Emotion (Lutz Jänke, Journal of Biology 2008, 7:21). or Involuntary Memory (Wikipedia contributors, “Involuntary memory,” Wikipedia, The Free Encyclopedia (accessed January 14, 2013). While media doesn’t necessarily start with the audio, it finishes it. Remove the music soundtrack from a movie and the scene is empty. The closest thing to a time machine I’ve ever experienced is hearing a long forgotten song. Music becomes the soundtrack to our life. So, audio is kind of important. Quality audio is our commitment. Mud-Hut will be 20 years old in October of 2012. I recently finished my fourth major studio upgrade, and it gave me a reason to think about the amazing experiences I’ve had. Five different computers and operating systems (starting with DOS), a music industry that imploded on itself, and cell phones that record with better quality than the equipment I started with, seems incredible. The hundreds and hundreds of releases on cassettes, vinyl, CD’s, DVD’s, and USB drives, are impressive, but what really excites me are the thousands of awesome clients I’ve met. I’m humbled by the number of talented and hilarious people I’ve worked with. One time, I had a band that got so drunk that the bass player started crying during the mix down. “I’m sorry!” he sobbed. “I just played so bad today…I let you guys down”. A. There was nothing wrong with his playing. B. If there was, nobody else in the group would have been able to catch it. They finished three cases of beer and had purchased more. I put a cap on alcohol consumption simply by recounting this story to subsequent clients. Then there was the burned out bass player who sat on the couch in the studio studying an apparent age-appropriate book from my coffee table, “Where’s Waldo?”. He proudly announced to us that he had just found Waldo “Three times in a row!”. When we realized that he had done this while staying on the same page, we became absolutely incapacitated with laughter. There were literally guys laying on the floor. As I said, the best part is the people!